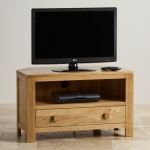 Making the most of available space in your living room, this solid oak corner cabinet will hold your TV and associated accessories in one place. 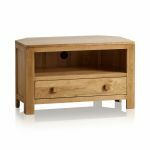 With the appeal of natural, solid oak, the strong shelf and drawer will keep your DVDs, games and remotes together and ready for use. 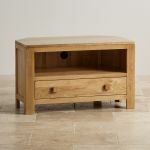 As with all Oak Furniture Land pieces, the cabinet is made from hardwood throughout, including backs and bases. 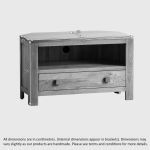 Oak’s strength, a simple design, and solid construction mean this cabinet will be a long-lived piece of furniture in your home. 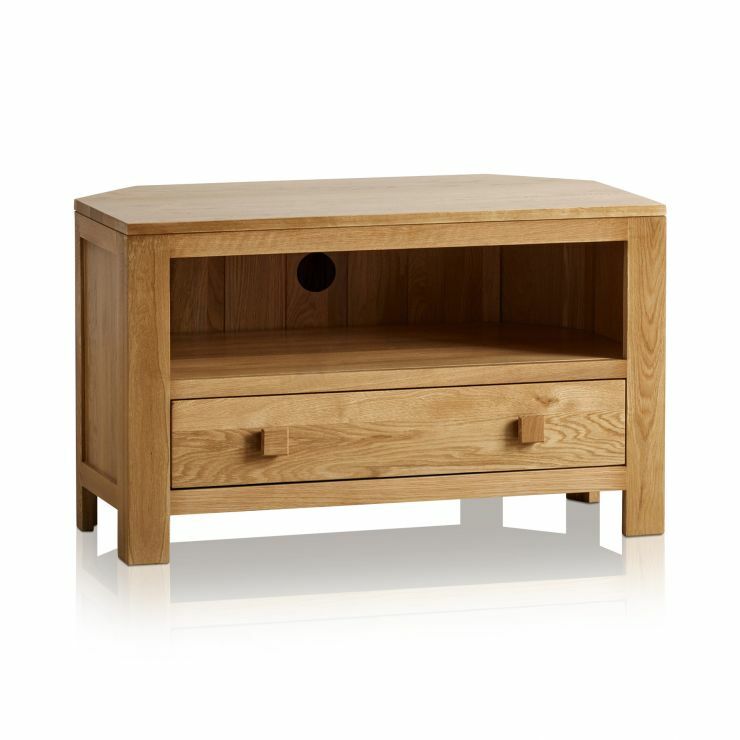 Match this natural oak cabinet with other pieces from the Oakdale range, and put together a minimalist look in your living room – all with free delivery.